Sky and LG's 3D love-in continues with ace new deal. Still umming and ahhng over whether to drop your hard-earned on a 3D TV? Well Sky and LG reckon they've got the answer. 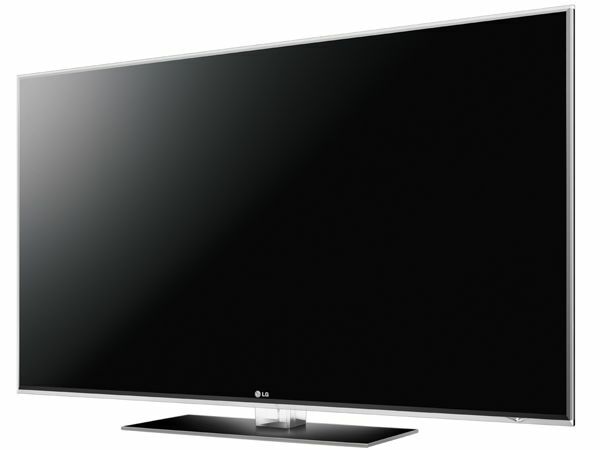 The two have been somewhat smitten in recent months, with LG chosen as Sky's preferred 3D partner. And now LG is offering £300 off selected 3D TVs if you're a Sky subscriber. The three models eligible for the cut price deal are the 47LX9900, 55LX9900 and the 47LD950. Current prices come in at £1,794.99, £2,278 and £1,469.99 respectively. To get involved, you'll need to buy one of three from an approved store, including Amazon. Comet, Richer Sounds, Tesco and John Lewis. Then it's a case of sending a receipt, a claim form downloaded from the Sky Rewards website and a cut out of the TV's barcode. You'll need to get this little lot in to LG by 21 January to get your money back. Ok, it does seem a tad convoluted. But it also means the 47LD950 only costs £1,169.99. Tempted? Tell us now on our Facebook and Twitter pages.